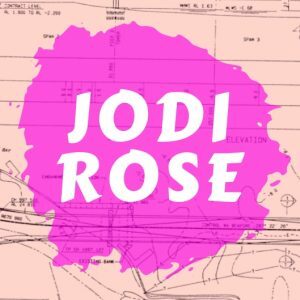 Jodi Rose is a nomadic writer, artist, producer and creative director of Singing Bridges, an urban sonic sculpture using the cables of bridges as musical instruments on a global scale. She embraces the philosophies of Fluxus and a lived experiential practice; collaborating with chance, playfulness and simplicity in her life, art and writing. During her travels to create music from the sound of bridges around the world, she has found herself recording in the snow under a bridge in Ljubljana; dangling from a crane on a bridge in Bangkok; initiating and mediating T.R.A.C.E.S and wearing a beard while immersed in an artists colony in Lithuania. Life is art and sometimes there is no ‘everyday’. Originally from Australia, Rose has traversed the globe from Helsinki to the Mekong Delta, New York to Singapore in her quest for bridge music. Made with field-recordings, on-site interventions and site responsive improvisations, her fascination with the sounds and secret language of bridges has led to collaborations with artists around the world. Her work explores the philosophical and musical aspects of cable vibrations through global transmissions and installations; hosting on-site sonic interventions, and dreams of linking bridges around the world in a Global Bridge Symphony. The culmination of Singing Bridges is the Global Bridge Symphony, linking the music of bridges in a live performance taking place in and from locations around the world. Welcome to Bridgeland! is an art-research project in the fields of cultural acoustics, media arts /theory, site-specific intervention, oral history and alternative ethnographic memoir. A global “Mythology of Bridges” includes performative happenings, subtle interventions, video/audio composition and poetic cultural essays. The interdisciplinary process is evident in the production of artworks, lectures, theoretical texts and archive-documentary materials. Welcome to Bridgeland! highlights the bridge as a place of transformative potential, the locus for metaphorical meanings and mythological experiences. “The transmission of message, of code, of signal, is volatile. We are living in the volatile transmission. All points can be connected to all other points. Either I am submerged in signal exchange or I observe the global set of exchanges. Noise, disorder, and chaos on one side; complexity, arrangement, and distribution on the other."